NCHomeRemodeling.com, a division of NCWaterHeaters.com and a full service home remodeling company specializing in kitchen and bathroom remodeling, is owned and operated by Dave Noffsinger and Cyndi Aragon. Dave has more than 17 years’ experience in the Raleigh area and carries an unlimited Plumbing Class 1 license in the state of North Carolina. Cyndi’s 20 years of experience in business and operations management rounds out the company’s marketing, administrative, and operational needs. Dave and Cyndi have built a large network of repeat business in the Raleigh area by providing expert and dependable water heater repairs and replacements, as well as full plumbing services over the years. Homeowners count on NCHomeRemodeling.com to help them with their energy efficiency needs in an honest, high-quality, and straight-forward approach, and address their needs when it comes to water heaters and plumbing services. Dave and Cyndi insist on running the business and earning lifelong customers through honesty and integrity. NCHomeRemodeling.com provides 24/7 service with a fully stocked mobile warehouse carrying the most common tanked and tankless water heaters for quick repairs and installations. 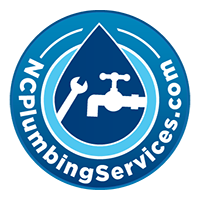 Full plumbing services are available, including meter-to-home water line replacements, kitchen and bath remodels, and plumbing leaks. NCHomeRemodeling.com believes in involvement and giving back to the community. In 2013, NCHomeRemodeling.com provided free labor to the Holly Springs Food Cupboard with an installation of a tankless water heater. 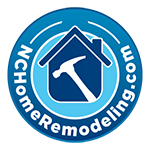 NCHomeRemodeling.com also maintains affiliations with area Chamber of Commerce groups, as well as works closely with area churches to provide assistance whenever possible to needy families in the area.